My new “mentor” spoke with a confidence borne of the many decades of experience showing on his weathered face. I didn’t realize it, but the open seat I filled at the Blackjack table was the third-base seat. That meant I was the last player to get cards before the dealer. I hadn’t thought of it that way until he mentioned it. There are a ton of 10 cards in each deck…16 to be exact. And, if you add in the 8’s and 9’s, which are also bust cards for the dealer if she has a 14 or higher, that’s 24 cards out of 52 that are bust cards (nearly half). I couldn’t believe I should stay on 13. The dealer was showing a 2 of clubs. Two people had already hit and busted. My mentor’s wife stayed with her 18. My mentor stayed with his 20. Now all eyes were on me and my 13. My $5 chip wasn’t the only money at risk. My mentor and his wife each had $25 chips up and they were counting on me to make the right choice. Sure, there’s a bunch of 10 cards in there, but there’s also a bunch of non-10 cards. And, the dealer may have a 9 facing down, so that’s 11. A sure path to 21 and a rousing defeat for everyone at the table. 13 seemed a long way from 21 and not a very powerful way to win. It sure would be great if I drew a 7 or an 8 and could defend against the dealer’s next hit card. I decided to stay on my 13. The dealer turned over her down card. It was a King. She had 12. She hit and pulled a 10. Bust! Another decision. I looked at the other players and saw them putting up their new chips. My mentor and his wife were letting their $50 ride. I left my chips up and waited for my cards. This time, the cards were in my favor and I had 20. My mentor had 12, and his wife had 17. The dealer was showing a 6. “Looks like I’m in the third-base seat for this hand, since you’ve got a 20,” he said as he motioned that he’d be staying. I followed suit and stayed with my 20. The dealer turned over her down card to reveal a Queen. She had 16 and was required to hit. Another Queen showed up. Dealer bust, again! This “13 strategy” was showing some strength. Feeling a bit more comfortable with my situation, it was an easy decision to let my $20 ride for the next hand. Mr. Mentor and his wife let their $100 ride. They were on a roll! This was more than I’d ever bet in Vegas. A whole $20! And my new friends each had $100 on the line! I could feel my heartbeat racing as the cards were dealt. My mentor’s wife received a pair of Aces. My mentor had 17. I had 12. The dealer was showing a 4. This was a perfect setup for my new-found strategy. The first two players each hit on their hands and received low cards. Both were still in and stayed. My mentor’s wife split her Aces and placed a new $100 chip on the table. The next card was an 8. She stayed with that hand. Her other Ace received a 10. Blackjack! The dealer paid her $150 in chips for that hand and moved on to Mr. Mentor. He stayed with his 17. It was all up to me. That’s when things went sideways. I started obsessing on the number 7. What if I stay and the dealer pulls a 7 out of the shoe? That would give her 21 (this all assumes that her down card is a 10, of course). If she gets a 21, she’d beat me and everyone else at the table. But, if I got that 7, I’d have 19 and be sitting pretty against whatever she had. Somehow, in the heat of that moment, I forgot about holding on 13 (or 12) if the dealer is showing a 6 or less. I just knew that the next card was a 7. That 7 was mine to take and I’d be saving the entire table from oblivion. The dealer slid the card from the shoe. The world started moving in slow-motion. She slid the card over to my hand and turned it over. It was a 10! I busted. There went my $20! The dealer turned over her down card to reveal a King. She had 14 and was required to hit. You guessed it. That 7 card came up for her. She now had 21. I had snatched defeat from the jaws of victory for myself and my fellow players. That 10 that I took should have busted the dealer, but it busted me and then everyone else at the table. Ashamed, I looked at my fellow players, shaking my head and saying I was sorry for blowing it for them. Here was a group of strangers I’d only met a few minutes earlier and I’d let each of them down. I learned the importance of knowing my rules and playing by them. Every time. In every situation. I don’t go to Vegas often. 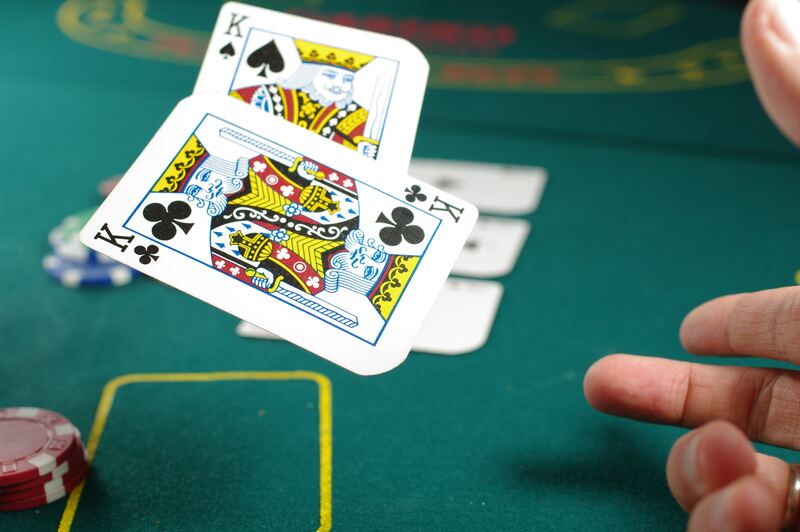 Whenever I go, I find time to play Blackjack, always from the third-base seat. Note: The preceding may or may not have happened exactly as described. Either way, the lesson is clear. Rules matter…especially your rules. Know your rules before you play. Play by your rules when you play. Don’t lose sight of your rules when things get rough or when things look hopeless. If you stay true to your rules, you’ll win far more often than you lose. This entry was posted in Appreciation, Attitude, Commitment, Courage, Discipline, Excellence, Fear, Gratitude, Leadership, Listening, Patience, Perspective, Success, Trust, Values, Winning, Writing, Zombies and tagged Blackjack, Mentors, Vegas on September 29, 2018 by Bob Dailey.